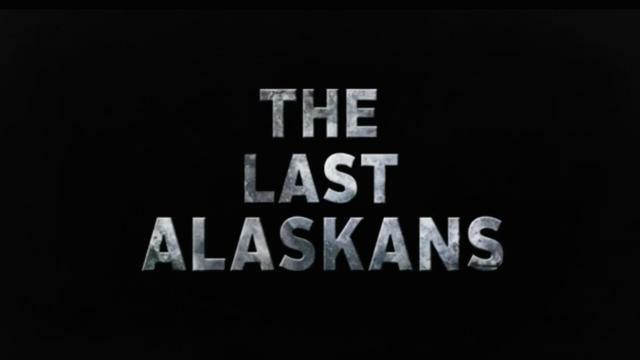 Filmed by Animal Planet on the Arctic National Wildlife Refuge in Northeastern Alaska, The Last Alaskans is a reality show that chronicles both challenges and advantages of living purposefully. In a swath of wilderness roughly the size of South Carolina, seven cabins are occupied. 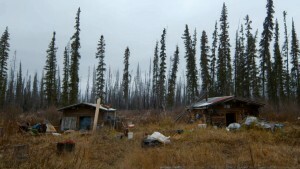 In one of these cabins, Tyler and Ashley Selden live without running water or electricity for six months out of each year, arriving by bush plane after the buggy season to hunt and fish enough to feed themselves as well as their sled dogs for the winter. With a method that is closer to a documentary than a reality show, the Seldens are filmed doing the daily work of living, framed by a starkly beautiful backdrop that does not afford them room for errors. The Northeastern refuge the Seldens share with 6 other families. So… why would you care about it? For the same reason you’re browsing Appalachian Trials – because learning is about observation as much as it is about experience. What struck me about the show was how slow-paced it was. In the first episode, Tyler goes looking for a bear that stole their salmon and the audience watches expectantly only to see that… nothing happens. In reality, our timing seldom works out perfectly, our plans often fall flat, and our expectations are frequently adapting to the changing world around us. The Last Alaskans moves slowly to remind us of a fact that is at the core of nature: living is about endurance. The Last Alaskans depicts living in the wild through the struggle of perseverance and the joy of solitude. It is a show about long expanses of peace punctuated by the sudden, brief consequences one finds in the wild. It is a show that prioritizes its own honesty above public opinion; that suggests plodding through the trees is still a better way to live than chained to a desk. Basically, it is a show with the heart of a thru-hiker. As they learn to live off the land, the Seldens have developed a perspective you won’t find anywhere else. Except perhaps in a thru-hiker. When I asked them what was the hardest part of re-adjusting to city life every summer, they singled out the noise. “Even the refrigerator drives me crazy,” Ashley said, laughing. I thought of leaving Baxter State Park for a hotel room where television leaked through the walls and a sinister mini-fridge lurked in the corner. 1. You’ve got to ‘live’ on the trail, not just survive it. It’s common for thru-hikers to eventually stop enjoying and start ‘getting through’ their hike. Whether their goal is the next town or the next mountain, they purposefully distract their focus from the present. Progress becomes the primary goal. 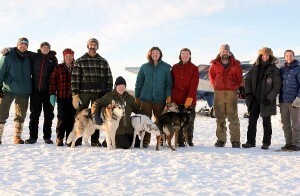 In the interest of conserving fuel, the Seldens are a one-bush-plane family. If it seems like the Seldens know their land well, it’s because they are in love with it. Whether you are worrying about feeding your sled dogs for the winter or wondering if you can outpace the storm coming in, the only way to interact with your surroundings is to stay in the present, instead of obsessing over the future or ruminating on the past. After all, that’s why you went on an adventure in the first place – right? 2. It is up to you to define yourself, not your background. Ashley Selden grew up in Minnesota and met Tyler Selden, from Nebraska, during college. Although both of them had a profound love of nature, they didn’t know the first thing about being trappers when they moved to Fairbanks in 2006. And it wasn’t an easy change. They underwent a lot of trial and error to learn what they were doing out on the refuge. Thru-hiking enthusiasts often cite ‘A Walk in the Woods’ and ‘Wild’ as their inspiration. It isn’t a coincidence that they both feature unprepared protagonists who learn through a process of trial and error. It’s frightening to try out a lifestyle that is miles outside of your comfort zone (sometimes literally). But most of the people who are truly passionate about what they do are not born into it – they find it on their own and teach themselves. So don’t be afraid to try Backpacking. There’s a wealth of knowledge out there and more miles of trail than any one of us will be able to tread in our lifetime. The Seldens have been living with no technology beyond a Satellite phone for years now, and often go weeks without hearing another human being’s voice. This might sound a little extreme, but it isn’t so different from a thru-hike years ago. Today, though, people can browse Facebook in their tents. With all of the new technology, we have gained a lot of conveniences while hiking. Certainly there is additional safety in communication. But what, if anything, have we lost? Their answer made me wonder if we are compromising our ability to settle into the time frame of nature when we set alarms, stay up late with our headlamps, use our phones to talk to family at outlooks. Waking with the sun, sleeping with the darkness, we become part of the experience. But if we refuse to sacrifice our technology, are we taking part in nature or only observing it? 4. Don’t let anyone tell you you’re crazy. Tyler and Ashley have certainly received their fair share of criticism – or just plain confusion – from people in Fairbanks and back home. I often struggle to explain to non-hikers why I love backpacking. Certainly the natural beauty is part of it, but the implicit challenge is also crucial. Tyler and Ashley turn their critics’ questions around and ask why anyone would live an easy life just because they can. They admit that their way of life is not the easiest, but imply that they aren’t the ones making the biggest sacrifice. What living in the great outdoors gives them, the Seldens explain, is a sense of purpose and belonging. It is a daily challenge that life did not foist upon them, but that they chose themselves. And I have to admit, I feel a lot better after completing a trail than I do after finishing a Netflix series. “I will. Love you too.” Tyler says tersely. At this point, Tyler breaks into a smile and ducks his head shyly from the camera lens. “I love you!” he shouts. The Seldens are simultaneously independent and incredibly devoted to each other, but they keep a great sense of humor about it, even when it comes to the great divider among trail couples: camp chores. Ashley: “I end up doing a lot of the traditional female roles but that’s just cause I’d rather do that than some of the things he does, so it’s kind of chivalry I guess. I’m not suggesting that remote cabins are a cure-all for relationships, but a long backpacking trip might not be a bad idea if you’re wondering how you and your significant other would fare with more commitment. The isolation and challenges implicit in the wilderness will test the strength of a relationship. Not to mention that watching your spouse leave to confront a bear really puts petty grievances into perspective. 6. The camaraderie and community you get from fellow backpackers is crucial. 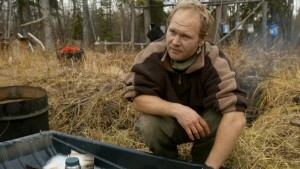 Other trappers from the refuge also appearing on the show. Despite the hundred-mile buffer between them and their closest neighbors, the Seldens are not hermits. A few times a year, they get together for dinner and a bonfire with other trappers in the area. The Seldens say these infrequent gatherings with the ‘tight-knit’ trapping community fulfill their social needs better than their summers in Fairbanks. I know I couldn’t have survived the Appalachian Trail without camaraderie. I met many day hikers, road trippers, and sightseers on trail, but explaining my thru-hike to people was a poor substitute for conversation. In the end, it was my inability to relate to people that created a sense of loneliness. This is why trail families are so important. Proximity decides our neighbors for us, but like minds are the building blocks of a community. Can hard work be fun? Most backpackers I know would agree with the Seldens that yes, it can be. I may look forward to that post-hike beer, but I feel more alive finding secret outlooks and scrambling up rocky summits. That’s my idea of fun. 8. You have to learn to rely on yourself. You’ve probably heard this from your friends and family: ‘be safe’. It’s what our loved ones say before we drive in the rain, walk home alone, or – God forbid – thru-hike the AT. But the people who say this have a point: In the woods, you’re removed from the safety net of society. These are the qualities of a leader, the kind of person that we exemplify in our society. So perhaps backpacking can lead to something more valuable than great Instagram photos; maybe it can help you grow closer to the type of person you want to be. Someone who doesn’t second-guess the things they know, who thinks rationally when a situation is heated, and who can take care of their own business without relying on others. So, whether your own nature immersion takes you to the ‘final frontier’ in Alaska, from Springer to Katahdin, or down the trails in your backyard, let the experience take you as far as possible. Because the Seldens shouldn’t be the last of their kind. 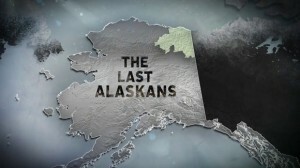 The Last Alaskans is airing Sunday at 8/7c on Animal Planet.